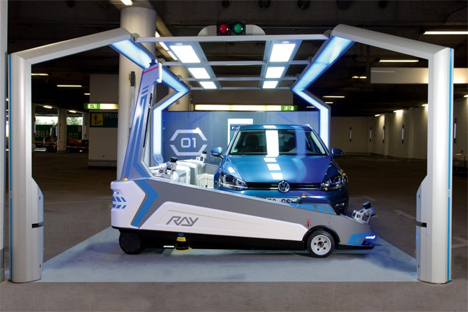 If you happen to be flying out of Düsseldorf Airport soon, you might be pleased to discover that there is a new “employee” there who will make your parking experience much more pleasant. 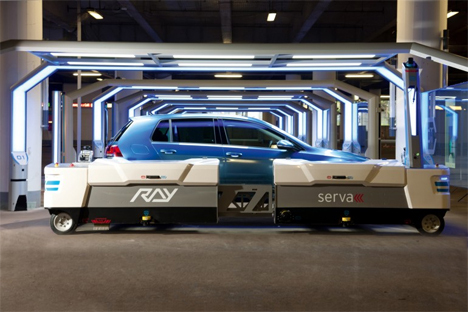 Ray is a robotic car parking concierge system invented by Serva Transport Systems to eliminate the headaches that come from both parking your car at the airport and picking it up when you come home. When you arrive at the airport, Ray takes a scan of your vehicle and stores a 3D profile of its size. It then gently lifts the car via forklift-like platforms and moves it to an available parking spot. 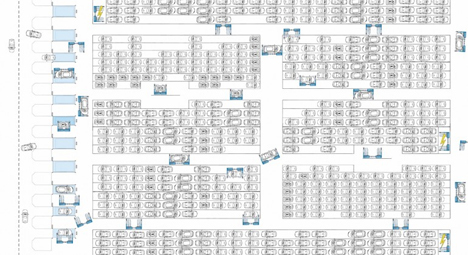 Because the parking lot doesn’t need to accommodate human drivers with their sloppy parking and careless door opening, twice as many cars can be packed into the same area. 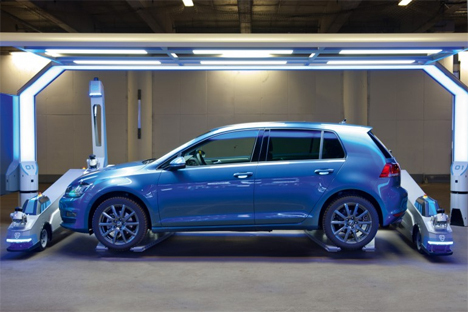 The Ray system is smart enough to arrange the cars’ parking positions by the return date of the cars’ owners. Those arriving at the airport soonest will have their cars parked near the front of the lot so they are quickly and easily accessible. The system keeps track of your flight so when you walk out of the terminal your car is sitting there waiting for you. Even if you’re the kind of driver who considers your car a prized possession, Serva Transport claims that their system is unfailingly gentle on vehicles. The integrated sensors and radar guidance systems ensure that you’ll never leave the airport to find a nasty dent or scratch on your car. 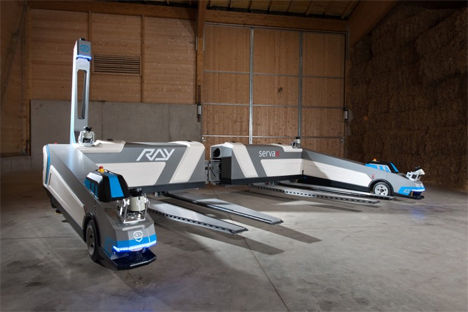 Unlike other robotics-based parking systems, Ray can be installed in a regular parking lot with no special infrastructure required. The robots roll along autonomously on the pavement using laser guidance, not metal tracks or chains. As such, an existing parking garage can easily and inexpensively be converted. The system is currently being tested at Düsseldorf. After testing and feedback from users, Serva and the airport will decide whether to expand the program. See more in Robotics or under Technology. July, 2014.